Let me start off by saying that this is This was a fun episode of Shield. Watching the little team-up between Simmons and Daisy was cool. It was a treat to watch Daisy’s reaction to the more take charge version of Simmons. It was a funny moment with Daisy’s convoluted plan and Simmons just walking up and ordering her subordinate to do it. Daisy’s powers were on full force in this as her and Simmon’s fought for their lives as they were double crossed. 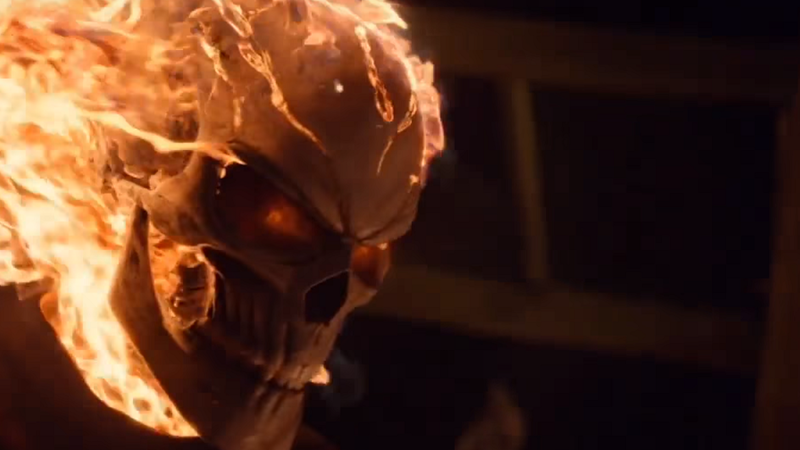 This was for the best as we got an awesome Ghost Rider scene because of it. The scenes between Robbie, Mack and Coulson were also very fun. 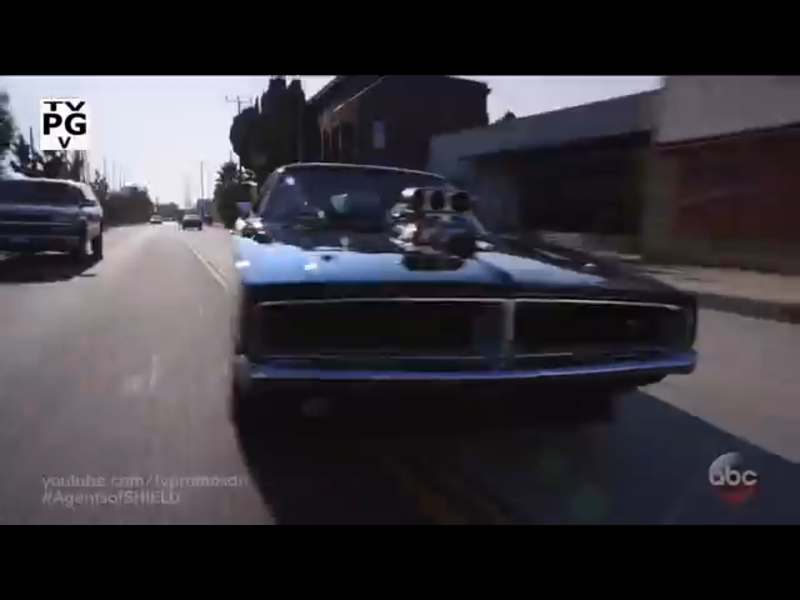 Starting off with a very exciting car chase between Lola and Robbie’s car. It made sense how to caught Robbie as they wouldn’t have stood a chance against them in Ghost Rider form. We also got a very fun moment when Coulson asked Robbie was he an Inhuman and Robbie tells him about the deal. The look on Coulson’s face was priceless! Overall this show is doing a great job with the character. 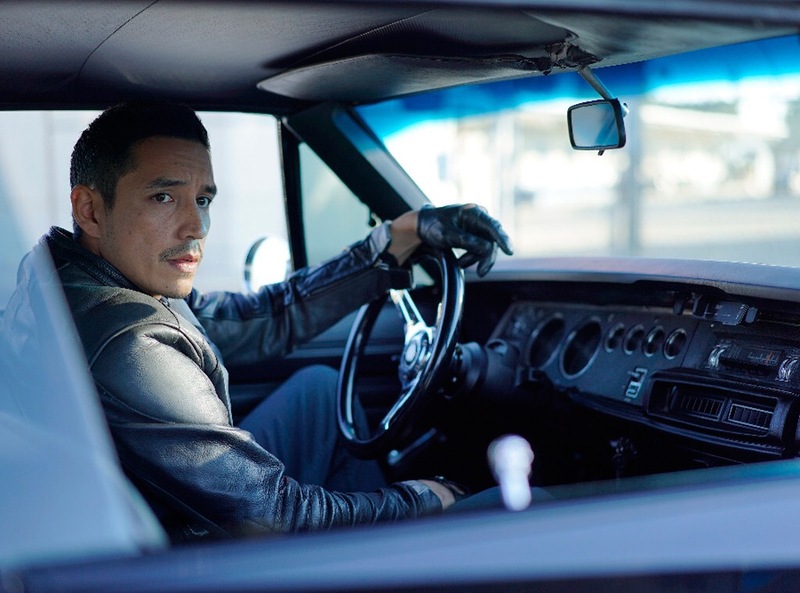 Overall a great episode of Shield with a very promising ending as it seems that for now Reyes is part of the team as well as Simmons finding out about Ava. We start off this episode of Shield with the whole city of Miami on Blackout due to what seems to be a cyber attack that may or may not be caused by an Inhuman. This was followed by LA and Moscow as well. Elena was in trouble so it was up to Mac, Coulson and Fitz to save her. Which seemed like it was no trouble but unfortunately for Elena her secret came out that she is an Inhuman. It also came out that she didn’t tell Mack that she was helping Daisy. Overall it all lead up to the return of Shield to the public eye. It was a cool moment and makes perfect sense to bring them back to the public. Is it me or is it getting cheesy to see the streets of LA go straight to rioting every time! It’s as if it’s the only thing they do in LA when the power goes out..Let me continue to say that I really like the story between Daisy and Robbie. 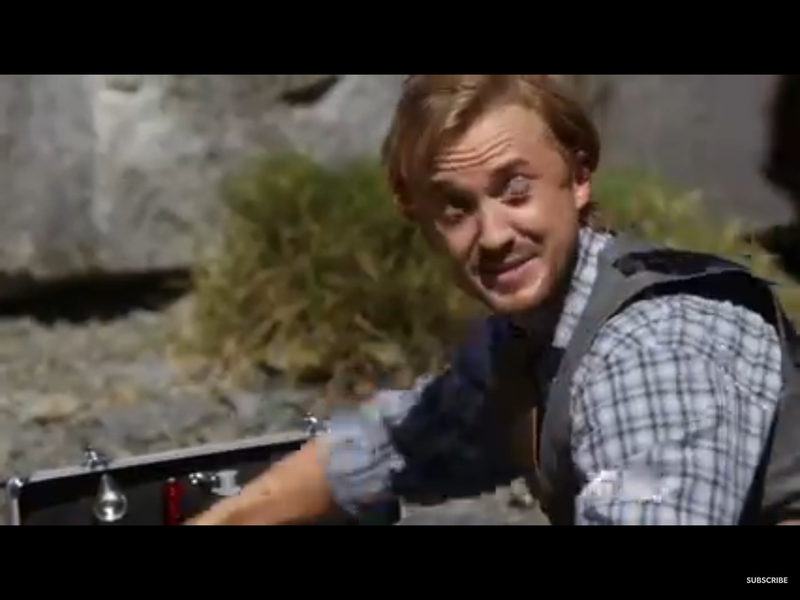 I will also say that Lorenzo James Henry is not as annoying as he was in Fear. He still is annoying but not in the way that you want him dead. 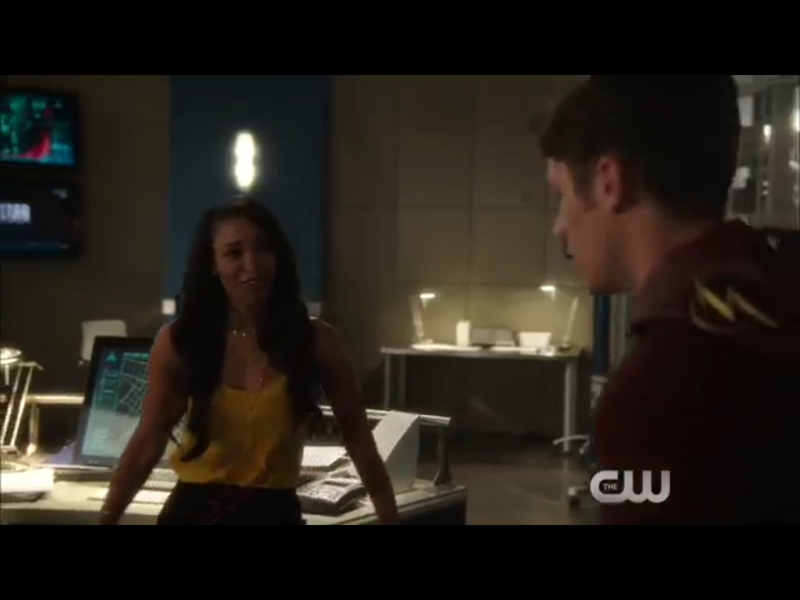 This week’s episode of the Flash deals with the direct ramifications from Barry messing with the timeline.it was interesting to see all of strange changes to the timeline.it was good to bring Felicity in so he can have someone to explain what’s happening to ( as well as bring the audience up to speed. It is also good to see that it is indeed affecting Arrow as Diggle now has a older son instead of a daughter. This is cool because that directly ties into the future from Legends of Tomorrow. Another shock is that Cisco’s brother in this timeline is now dead Apparently killed by a drunk driver. 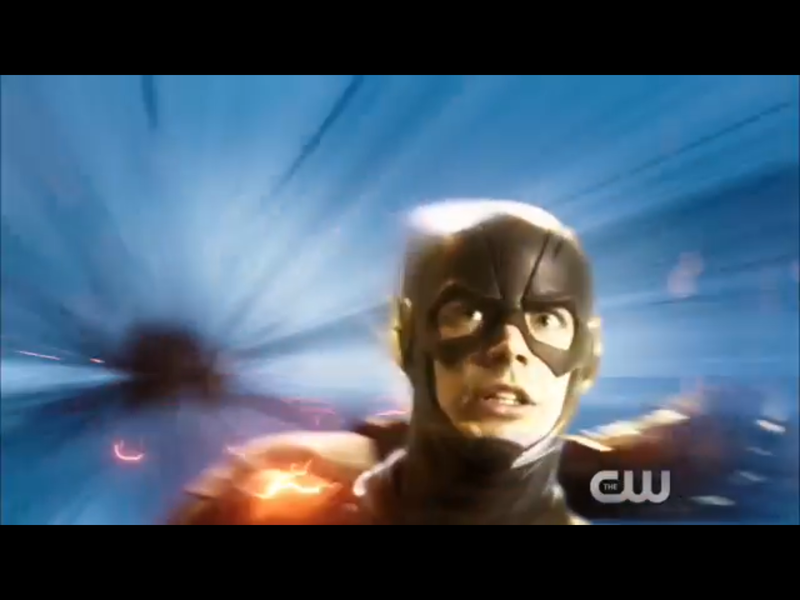 Cisco is fuming that Barry won’t go back time to save his brother. Cisco does have a point being that these past to seasons Barry has altered the timeline in his favor, it seemed like he maybe only willing to do it for his family. As great as it is seeing Carlos Valdes show his acting chops I hope this doesn’t become a Felicity thing in with a fun loving character we love become a whinny annoying character.But that is not the case as Barry knows the consequences. Even with all of the dark moments it was fun watching Barry trying to fix his fractured team. 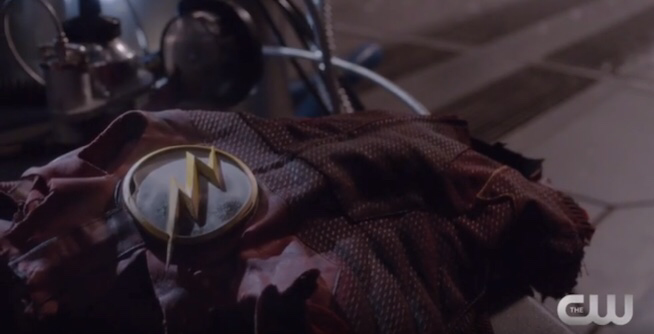 The highlight of this was Barry trying to go back and fix the timeline only to be stop by none other than Jay Garrick. It was perfect to have Jay go in and explain to why he can’t fix it and may even make it worse. Another great moment was Barry actually explaining to the team what happened. On another small not how many times can Barry kiss Iris for it to get reversed. Another wrinkle is the timeline is now Rival is now in Barry’s timeline. While it was fun watching Barry fighting Rival it almost comes across too much. Yet a another speedster fighting Barry again and not only that but he is not as fun or as compelling as Zoom or The Reverse Flash. I hope that Alchemy fairs to be a more compelling villain as he seems to be the mastermind of this season. As for the Alchemy what are the chances that Julian Dorn is actually the big bad. It seems very likely at this point. Overall a solid episode of the Flash. From the beginning moments of episode to the final moments the “Schism” felt bigger. 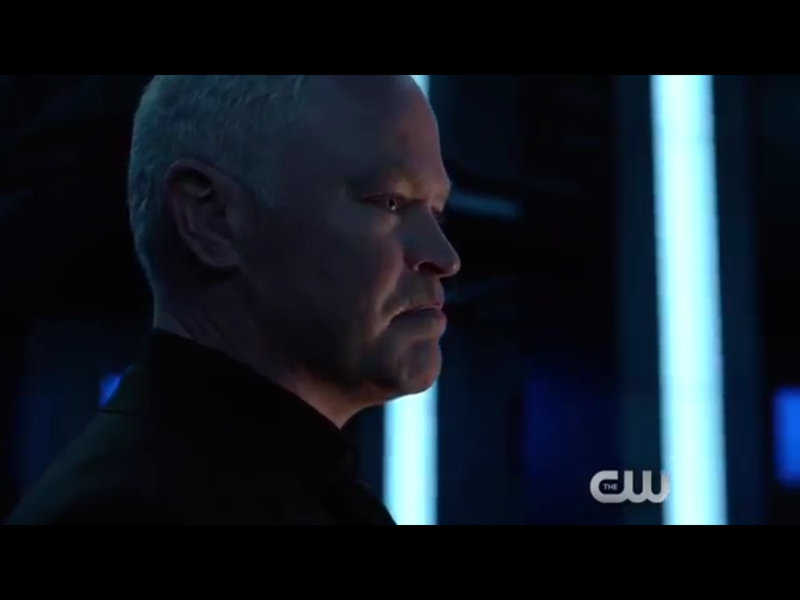 As Darhk attacks Felicity to get the laptop to launch the nukes he seemed more powerful than ever. So powerful that the only thing that stopped him from killing team Arrow was the fact that Thea gave him his daughter back. Not only did he seem more powerful but he seemed to have an endless amount of soldiers on his side as they attacked the Arrow cave and gave us an excellent fight sequence. Everyone was involved in taking down Darhk in this episode as each character got a chance to shine. As much as this episode was about defeating Darhk it was also as much about Oliver Queen becoming a hero. Not in terms of wearing a costume but by inspiring the city to not give up and to fight back. 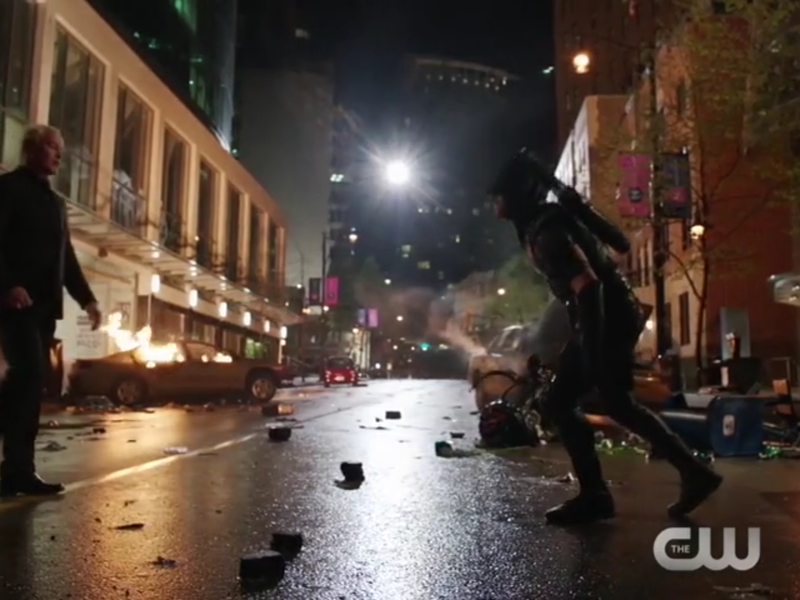 The speech that Oliver gives to the city is a great moment for the show as it shows the growth of the character. 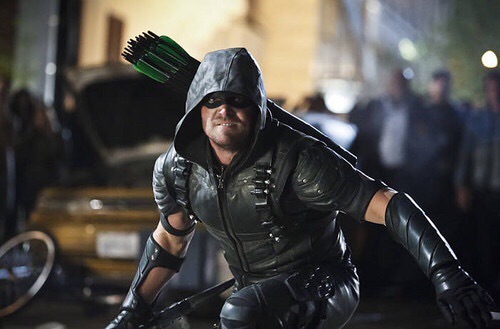 As Oliver Queen he may have become a bigger symbol for the city than the Green Arrow ever could. In the end we had Oliver against Darhk and team Arrow taking down the person launching the nukes. An interesting and twisted turn of events Darhk was torturing Cooper with a bullet in his spine that will kill him with if he doesn’t comply. It felt like a fitting end as Felcity talked him into helping. As for the final battle between Darhk and Oliver it was most certainly one of the best moments in the history of the show as it was only huge battle with the city vs Darhk’s goons. It was a epic battle that was fitting for what may have been the dissolution of team Arrow as everyone went there separate ways. Detective Lance lost his job and went on to live with Felicity’s mom as Diggle and Thea left to find themselves. The big question now is where can the show go from here as Oliver is now the mayor, Diggle is back in the military, and Thea is on her own. This episode played more like a series finale than a season finale as there was so much closure. I’m very exited to see were the show goes from here. This week is the episode is the heavy promoted episode that is directed by none other than Kevin Smith ( Clerks, Mallrats, Tusk, etc ). Those who know Kevin Smith knows that he is a huge fan of the show. While there were many who were very happy to see Smith directing, there were some who feared that Smith would insert too much of his brand of humor into the episode. The thing about Smith is that just as his detractors are almost as vocal as those who love him. They gave Smith a big episode to work with too as the previous seemed to be the Death of Barry Allen due to trying to recreate the particle accelerator explosion. The episode wasted no time with letting the view as well as team Flash know that Barry was indeed alive. The question is now where is he? The answer to that is he is trapped into the Speed Force. The way this was done felt very much like something out of the Matrix. With all of Barry’s love ones explaining it to him as a different personification. It very much was like a Christmas Carol as each one helped Barry cope with the problems that he was having. The most potent knew being the talk about Barry’s mother. 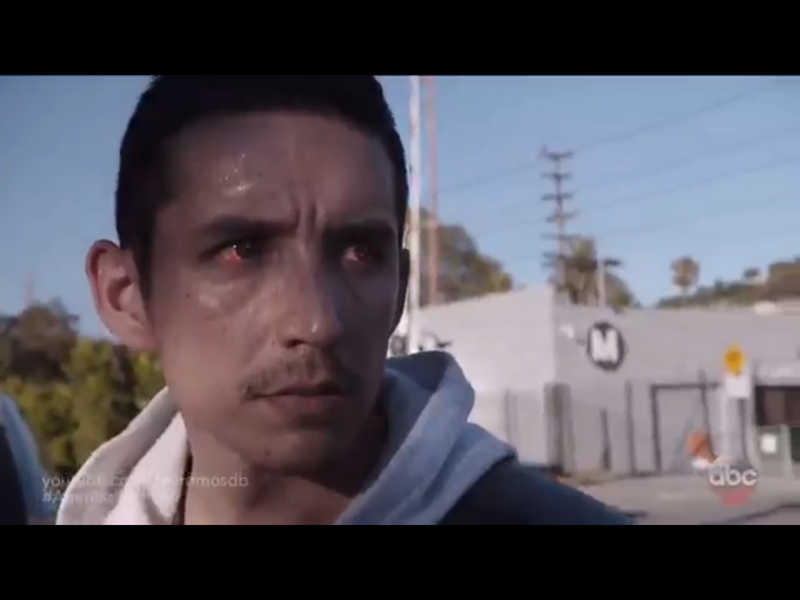 This episode also brought back Barry’s bully Tony Woodwork but in zombie form. That’s not the only problem as Jessie is in a coma and Wells is unresponsive. What was interesting about this was Wells’ is needed to save Harry’s son and Harry is needed to save Wells’ daughter. Overall these parts of the episode seemed to be the weakest parts of the episode. It almost would have been to have no action and let just story. 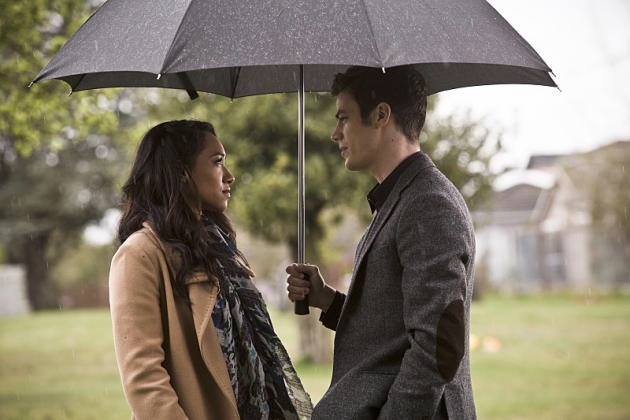 The moment when Barry gets his Speed Force back was an excellent moment and seemed fitting that it was Iris who was the one that brought him back. 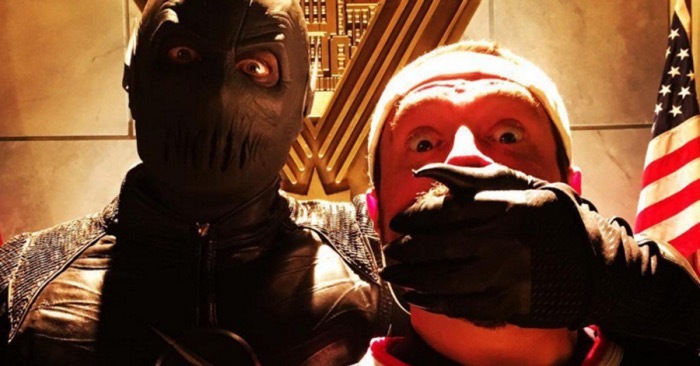 It was also suitable that there relationship is developing the way it is.Overall a solid episode of the Flash even with the minor misstep of having a villain of the week without needing one.